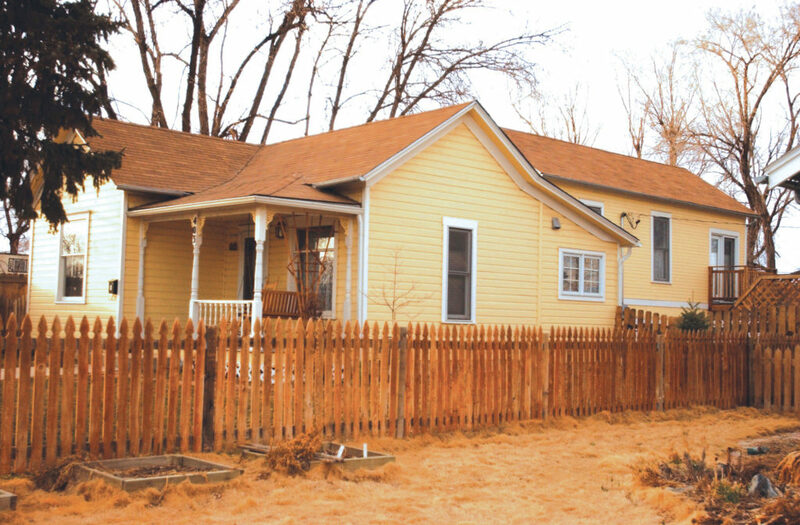 Lewis House – 6000 Bees LLC • Homesavers, preservation contractors, consultants • Lafayette, Colo. The 1,700 sq. 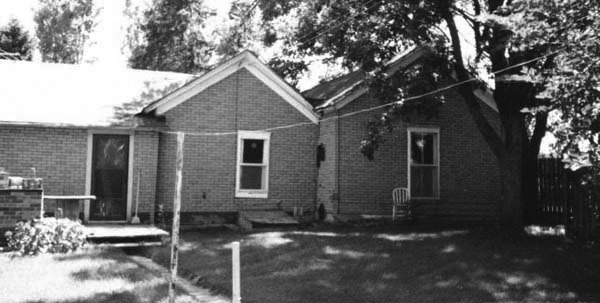 ft. John B. Lewis (1879-1952) house at 403 E. Oak St. in Lafayette, Colo., was renovated in 1997 – 1998. Prior to renovation, the farmhouse and the mine office (relocated from a local coal mine) were side-by-side and shared a living room wall. As you can see from the construction photos, the back part, the mine office built in the 1890s, was nearly ready to fall down. The house parts are now connected front-to-back and have completely new interiors and foundations. The front portion is the original farmhouse for the small dairy operation known as the Home Dairy. The rear portion is the former Simpson coal mine scale house and mine office, which was moved to the location by the Lewises sometime before 1937. Simpson mine operated from 1888 to 1926. In 1937, coal miner John B. Lewis’ sons, John R. “Jack” Lewis, Sr. (1910-1989) and George “Nip” Lewis (1911-2005), started the Home Dairy after purchasing the Monarch Steam Laundry at 411 E. Oak Street in Lafayette. Lewises installed a creamery, complete with pasteurization equipment, next door at 409 E. Oak Street. They also built an ice house across the street. Jack Lewis and Nip Lewis were the sons of Mary Hannah (Kneebone) Lewis (1885-1963), and John B. Lewis. 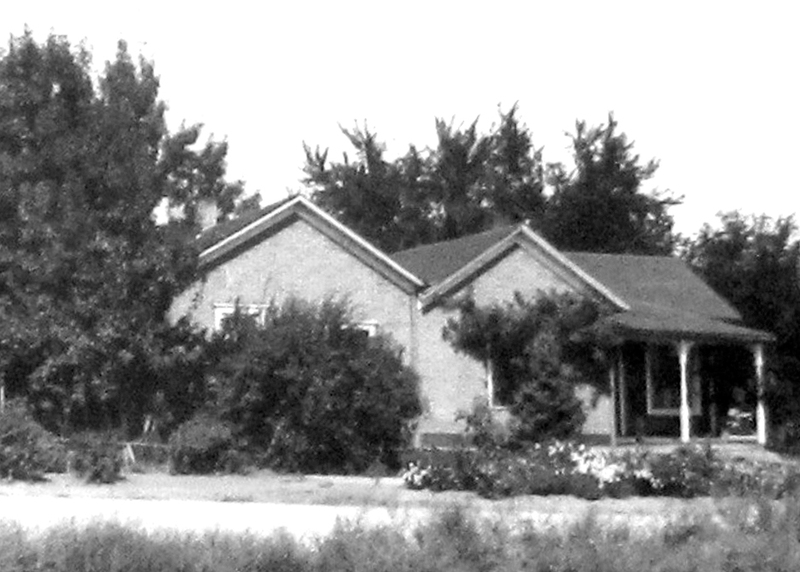 The Lewis House in 1948 showing the side-by-side configuration, with the Simpson scale house on the left. 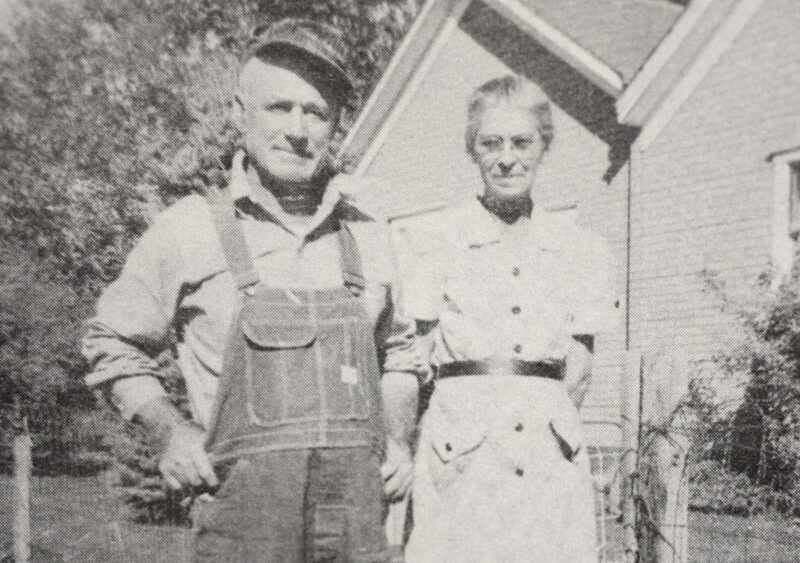 John B. Lewis and Mary H. (Kneebone) Lewis taken in front of the home at 403 E. Oak Street. 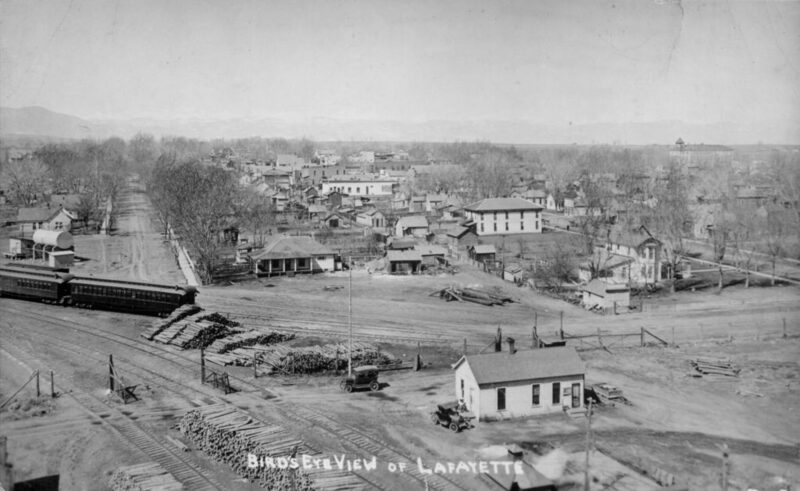 Photo from "Lafayette, Colorado History: Treeless Plain to Thriving City," 1990. 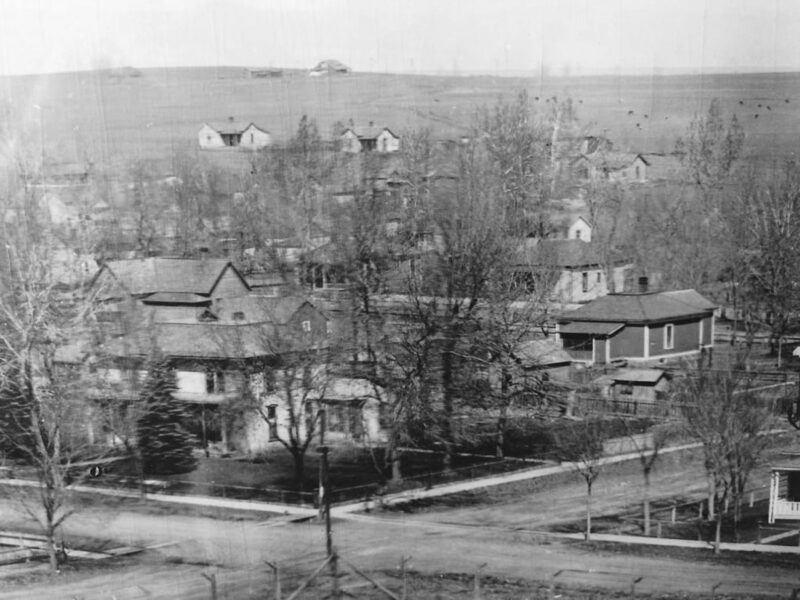 The Lewis House farm house can be seen at upper, left in this photo taken from the tipple of the Simpson mine about 1920. The Simpson mine scale house is at the lower right in this birdseye view of Lafayette Postcard mailed in 1921. Kathleen Carrier collection from the Lafayette Miners Museum. The farmhouse portion of 403 E. Oak Street with foundation forms ready to be poured. 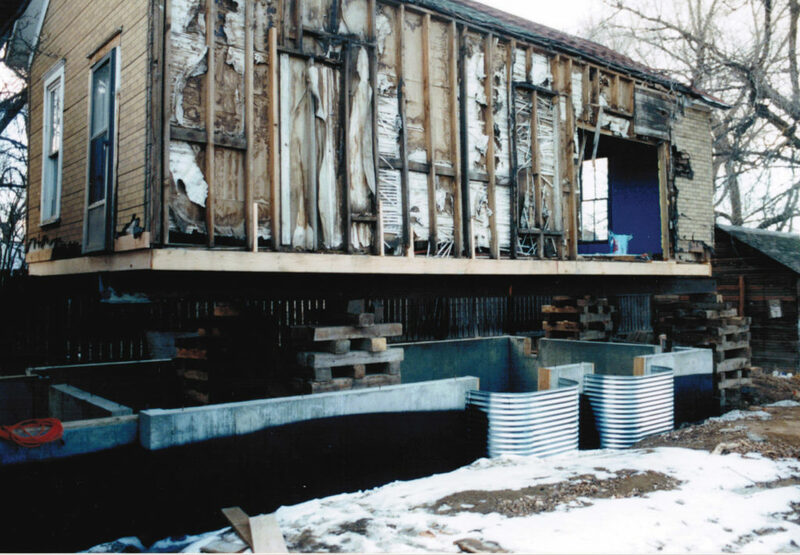 The dilapidated Simpson mine scale house after it was moved to the back of the Lewis farm house, about 1998. 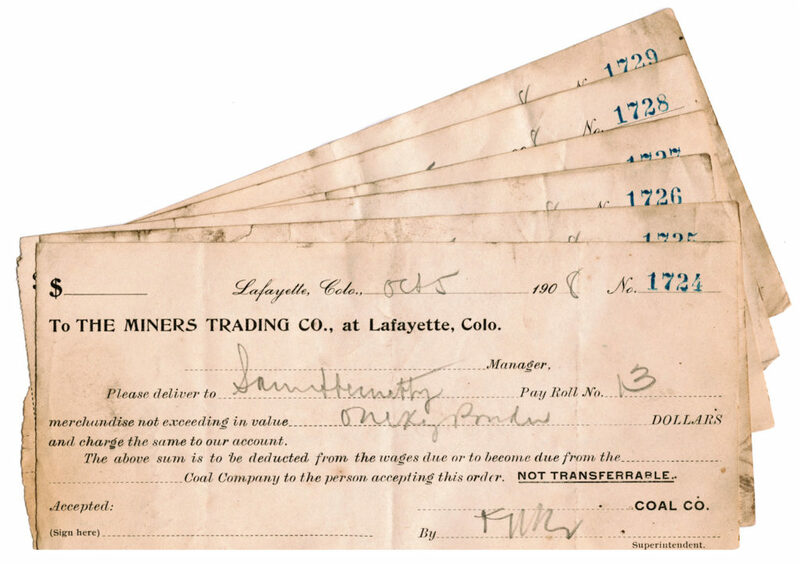 Hundreds of samples of coal company scrip, similar to checks, were found in the walls of the Simpson mine office during renovation. Also found were payroll records and contract work invoices. 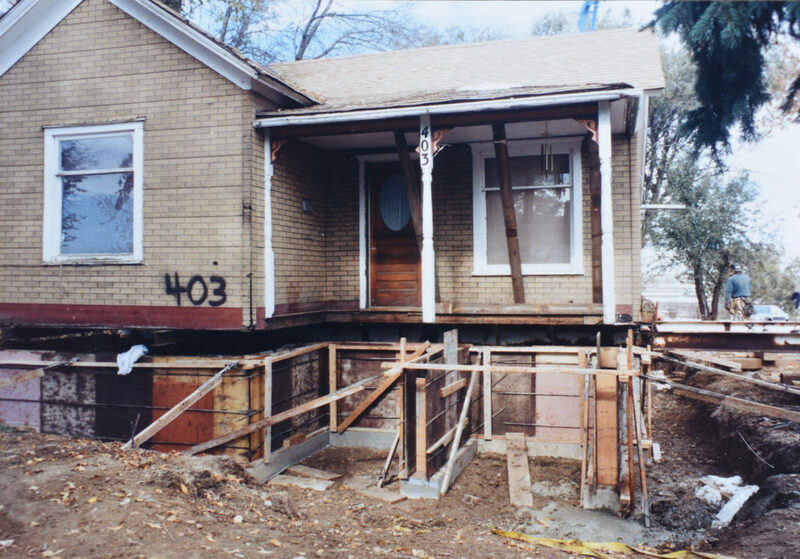 The rearranged Lewis House at 403 E. Oak undergoing renovation. The completed Lewis House, about 2001.